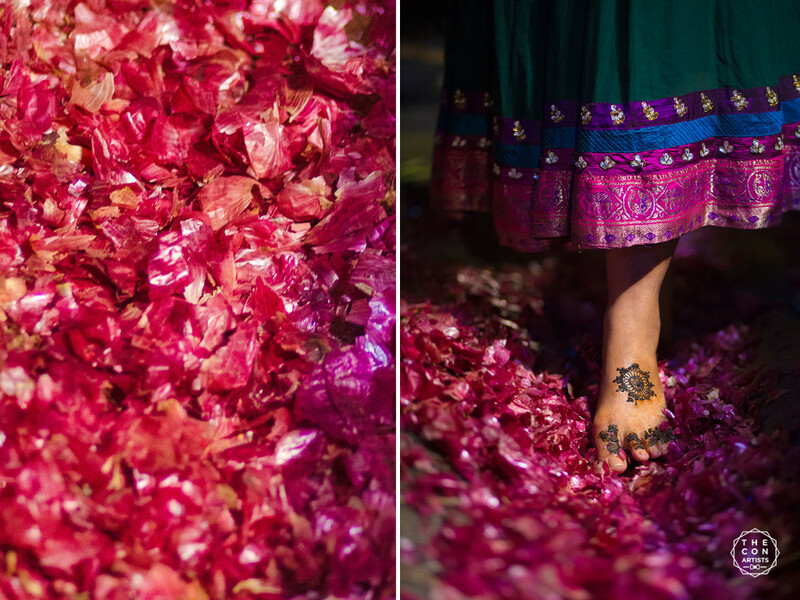 Well, they say that the “solah singaar” of the bride is incomplete without mehendi, and that’s why mehendi holds a special significance for the brides in all the weddings. 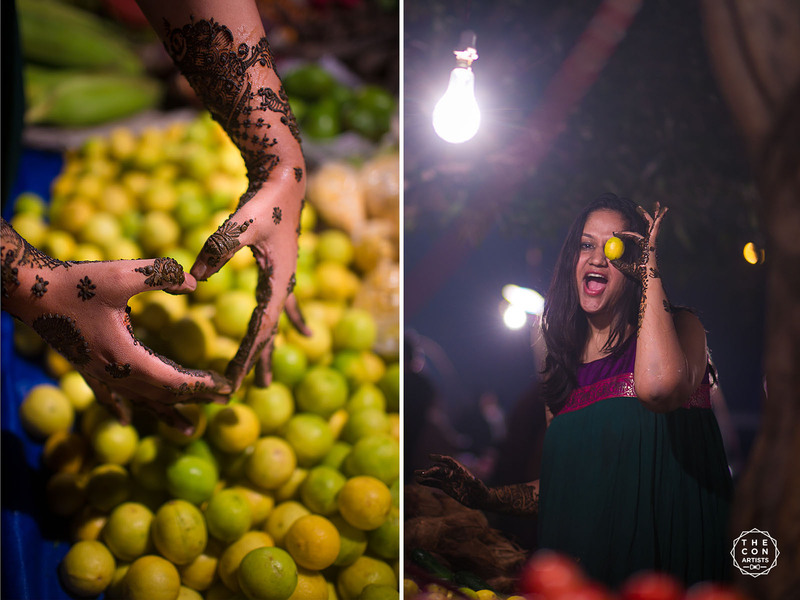 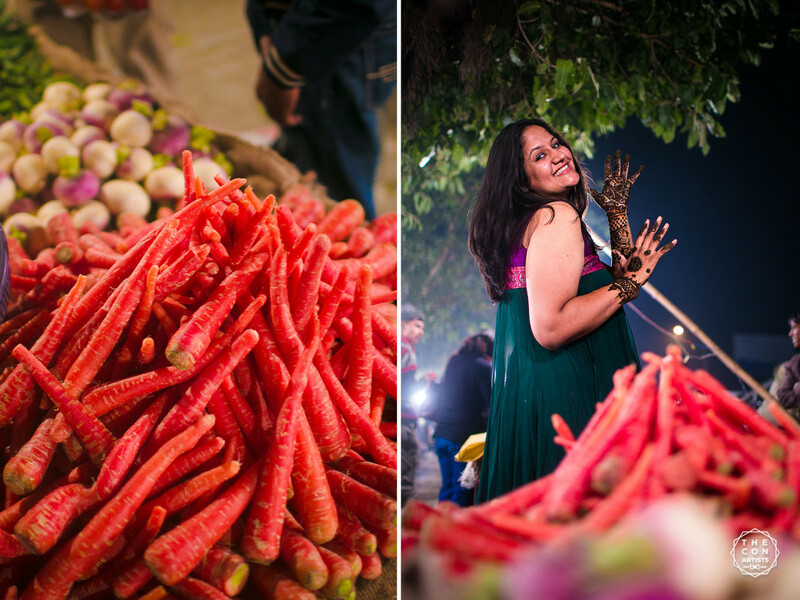 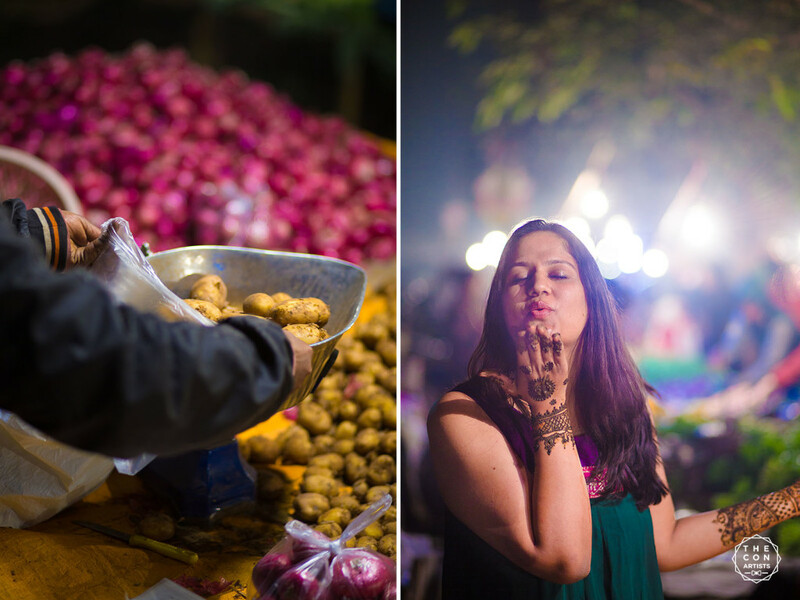 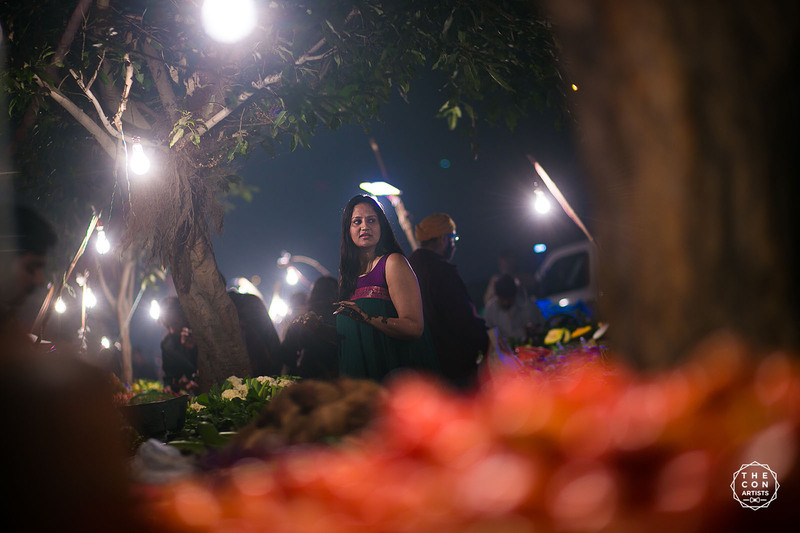 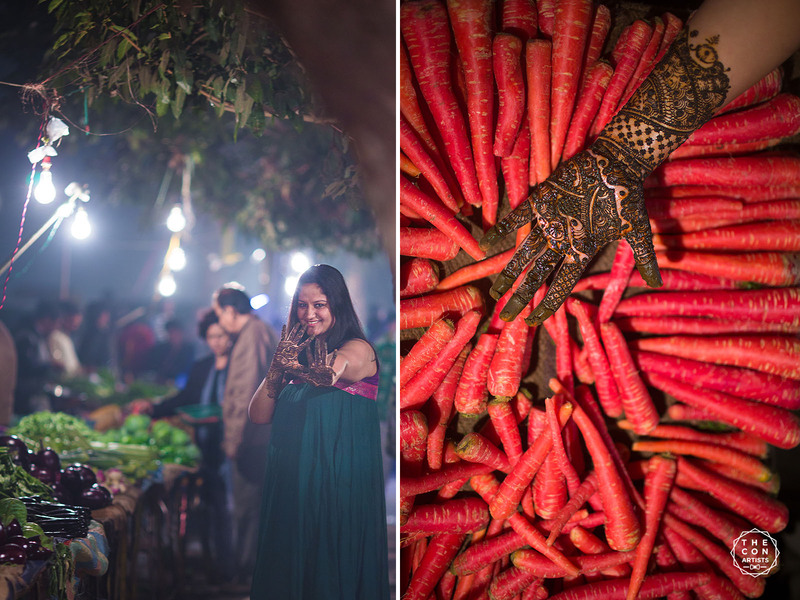 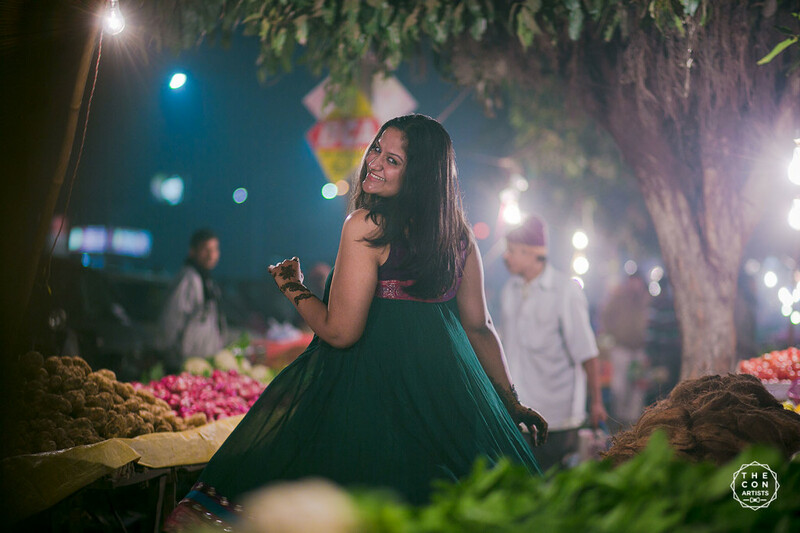 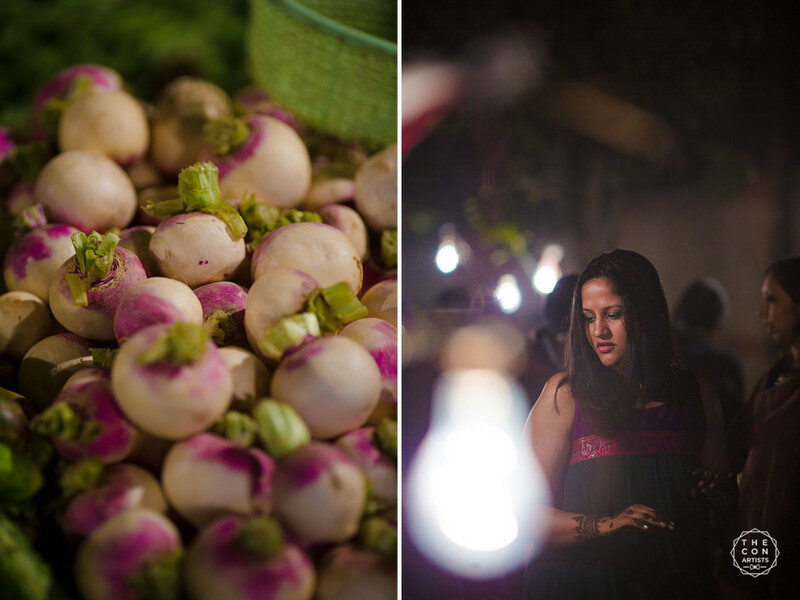 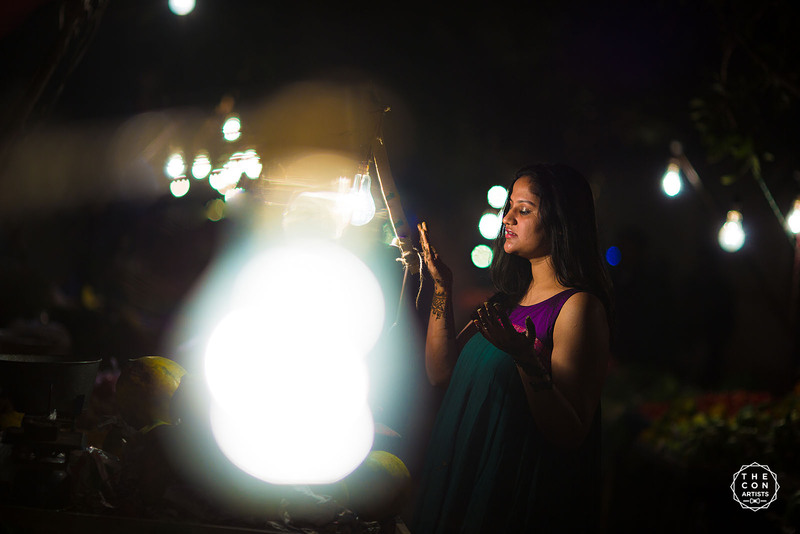 In the late winters of Delhi on the evening of Neha’s mehendi in pursuit of some fun bridal portraits, we headed out to a nearby sabji Mandi, and we loved the results. 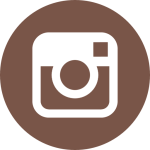 It’s a photographers dream to get a bride who’d be sporty enough to attempt non-conventional ideas, and Neha for sure brought life to these pictures.